I was inspired by the DIY section in the current issue (Fed 13) of Foam magazine for this simple project. Instead of stamping a pair of jeans I had a blank canvas bag that was sitting in my craft pile waiting for some action. I also switched up using a cardboard cutout to a foam cutout for my shape since foam is easier to cut. 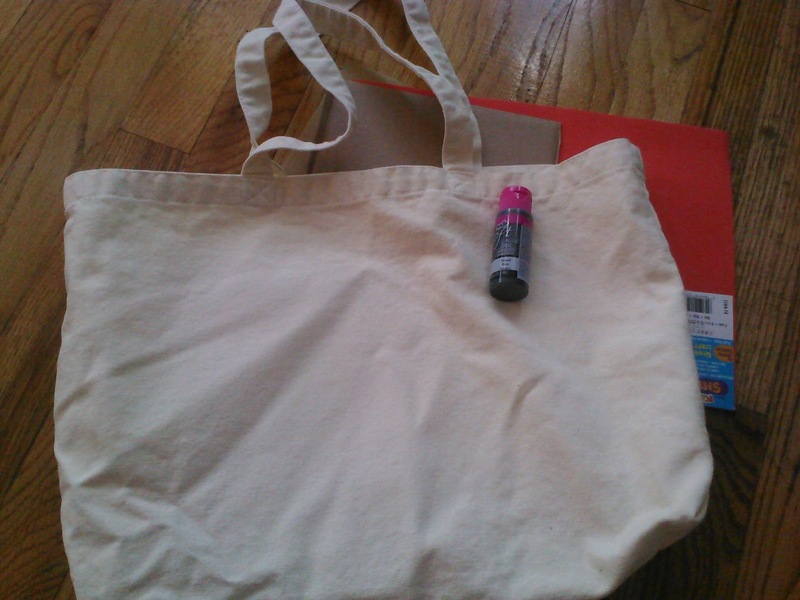 Supplies needed: canvas bag - washed, dried (no fabric softener), a sheet of craft foam, fabric paint, cardboard for stamp and a piece large enough to insert into bag, glue/tape and a few cotton swabs or a paint brush. Try to iron the bag out if you can. My attempt here was not great but once I inserted the cardboard in the bag it was smooth. 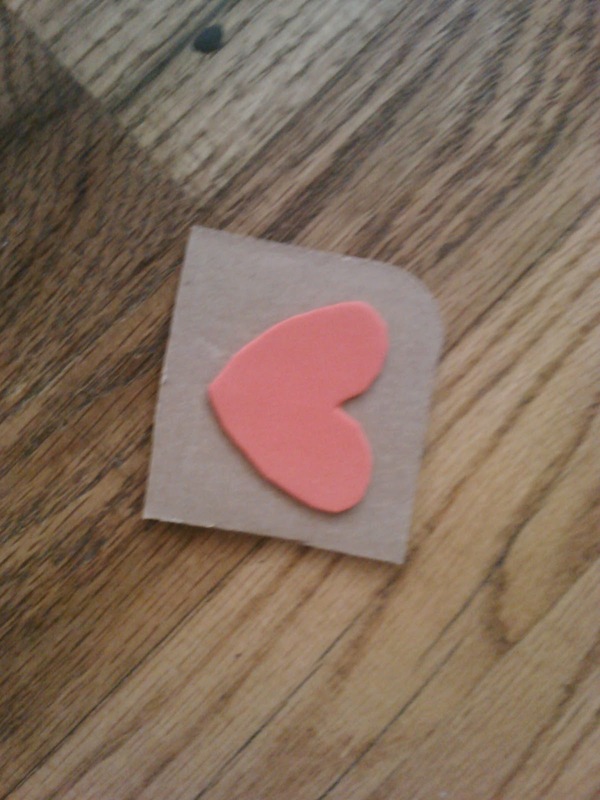 First cut out a shape with your foam.You can free hand it or draw then cut. I did a simple free hand heart. I cut out a small square of card board to use as my stamp backing and glued it down using basic kid's school glue. If you use glue it will need to try for a few hours. You can also use double sided tape or a glue dot to attach the foam to the cardboard. Insert cardboard square the size of your bag into the bag. Smooth out the canvas. 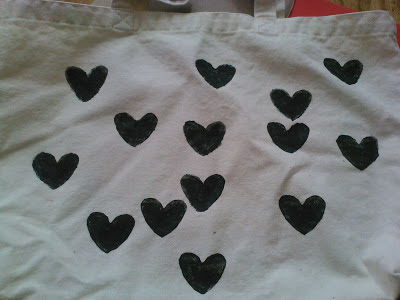 Apply fabric paint onto your stamp using a paint brush or cotton swabs if you are like me and cannot find your brush! Do not use a lot of paint, a nice even coat will be cool. Press the stamp onto the fabric with a steady hand for a few seconds and gently peel off. Continue doing that in a random or not so random pattern. Have fun! If your paint is not showing up enough or leaving gaps go over the area with the cotton swab/paint brush dipped in paint. That's adorable. The stamping method reminds me of potato painting!